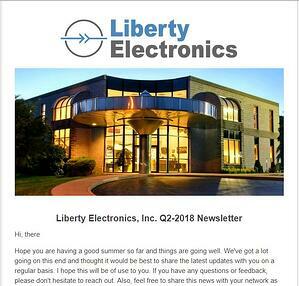 The Liberty Electronics newsletter is more than a list of company updates. Each quarter we share information that is meant to be useful to all readers including our network of contacts, customers, procurement professionals, engineers, manufacturing reps, and our own Liberty team. Stay up to date with new processes, products, and developments at Liberty that will impact you. Subscribe today and you'll have access to past newsletters as well. Opt out at any time. Complete the form to the right to start receiving your quarterly newsletter from Liberty Electronics.